Portland City Council will begin public hearings on Thursday, Oct. 6 regarding the Comprehensive Plan Update Recommended Early Implementation Package.Learn more. 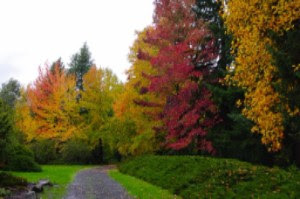 The Columbia Children's Arboretum in our neighborhood was awarded $1.1 million dollars from SDC funds (system development charges) to complete projects identified in the 2004 Management Plan. Public meetings will be held later this year. View the press release. Please attend a community forum on Oct. 6, 5-9 pm to discuss and offer input on the N/NE Community Development Initiative Draft Action Plan. This Plan will guide how $32 million in Tax Increment Financing (TIF) resources for economic development are used in the Interstate Corridor Urban Renewal Area (URA).Register for the event. Join Nextdoor, our private online network to receive timely neighborhood alerts. Does the ECNA have your home address? Make sure to receive important mailings! Update records now. Your information will not shared. ECNA – East Columbia Neighborhood Association, Portland, Oregon. Established 1977.